Add liquid ingredients to the flour mix and beat well. Pour into greased and floured 12”x18” cookie sheet. Bake 350 degrees for 25-30 minutes. To make frosting, combine ingredients until smooth. 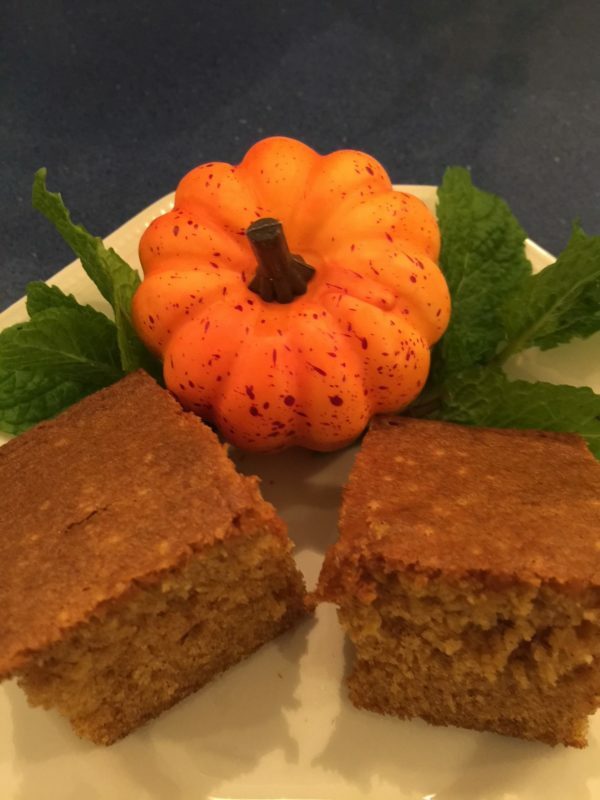 Spread on pumpkin squares, cut, and serve.